Seafront View - A view of the seafront from the Hotel El Balear. Alghero (Sardinia): Alghero - Cala Bona, 0.4 mi. 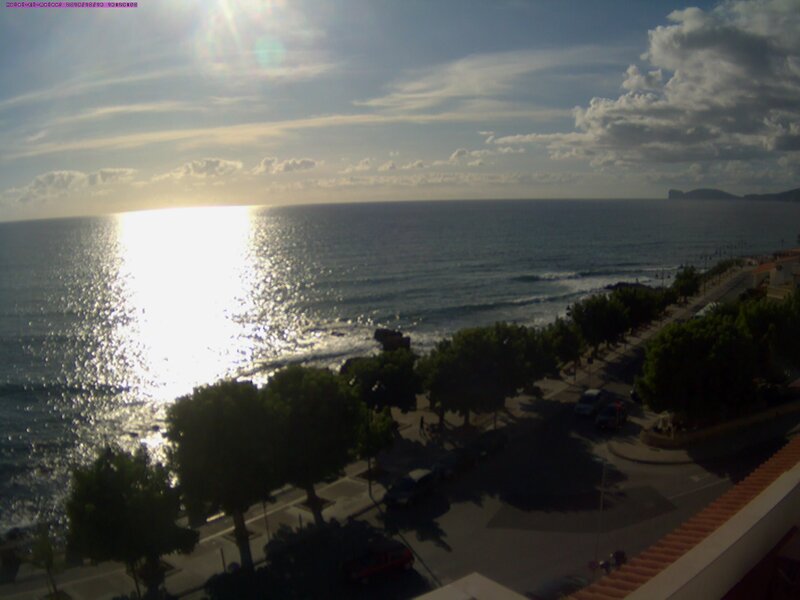 Alghero (Sardinia): Interactive Live Webcam from Alghero Sardinia, 0.4 mi. Alghero (Sardinia): Tramariglio Bay, 8.3 mi. Bonorva: View over Bonorva, 25.1 mi. Stintino (Sardinia): La Pelosa Beach, 29 mi. La Ciaccia (Sardinia): North Sardinia Seaview, 34.8 mi. Ozieri (Sardinia): Ozierimeteo, 36.2 mi. Tempio Pausania: View towards Aggius, 47.7 mi. This webcam Alghero (Sardinia) with the theme Seaview was added on September 2, 2017 and is operated by Hotel El Balear. It got 1325 visitors since then. Shouldn't this webcam work or should the link be wrong please report that here. You can add this webcam here to myCams.